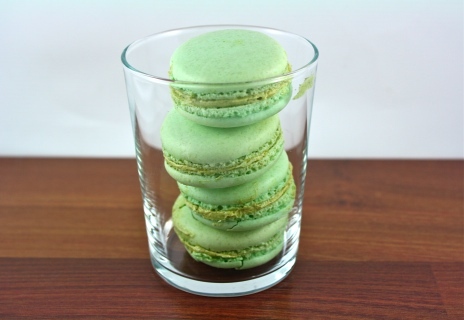 This is a great French Macarons recipe for pistachio lovers. I must admit, I did have more than 3 of these little cuties. 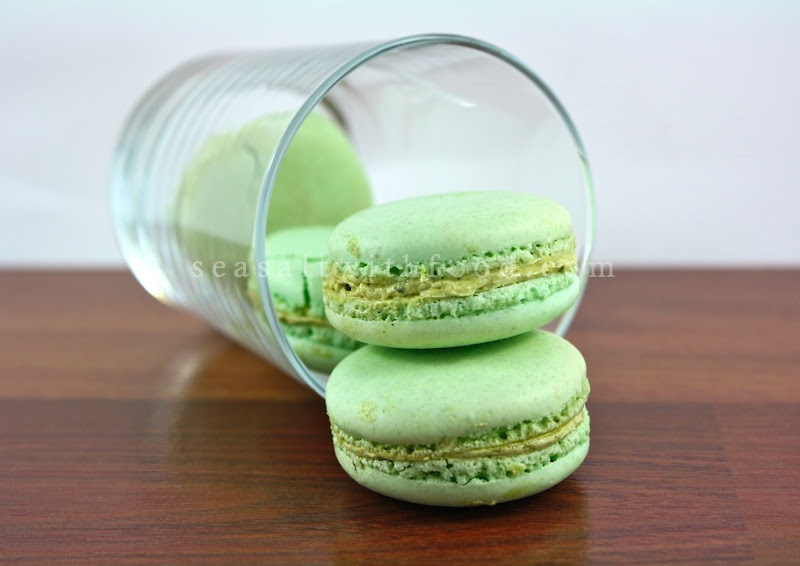 So, do check out Canelle et Vanille’s blog for the full recipe. Transfer the bowl to the electric mixer and whip in high speed until light and fluffy and the bottom of the bowl doesn't feel hot anymore. About 3-5 minutes. Start adding the softened butter by the tablespoon. Keep adding more butter as it is incorporated into the meringue. It might look like it is curdling but don't worry, keep mixing. When is well mixed, add the pistachio paste. These macaroons are so beautiful! I love the soft green color! What a beautiful color. Perfection. Love the green! pretty feet! I didn't know you had another blog out! Wow, you're a macxhine! ;) I just subscribed to The Maysian Cuisine. 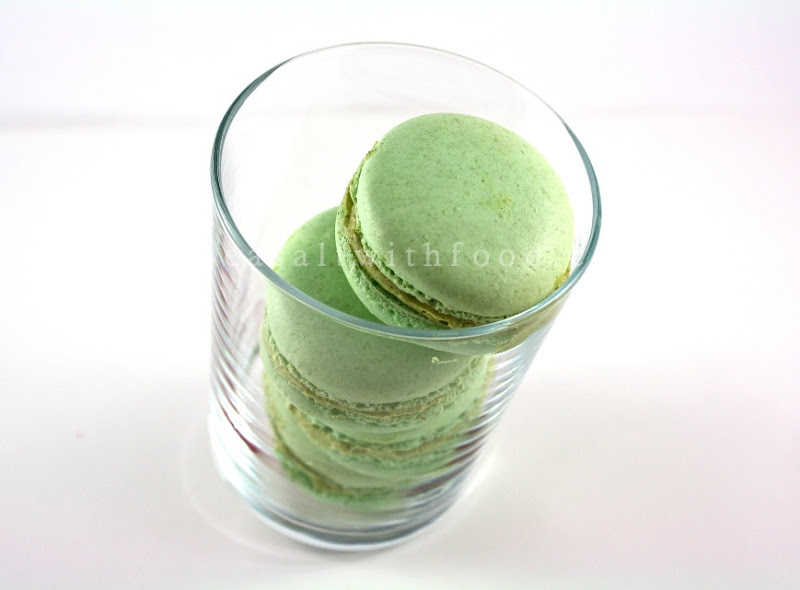 I just found your blog on tastespotting and had to take a moment to complement you on your beautiful macarons. Gorgeous!